Some guy that probably didn’t say that thing I opened this article with. 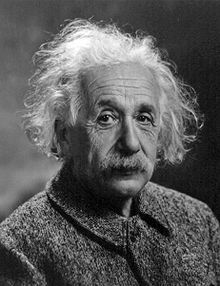 That line has been called the stupidest thing ever said by a smart person. It’s even stupider when you realize that no one actually knows for sure who the smart man who actually said it was. But when it comes to how the comic book industry has been treating their digital strategy, it’s pretty much the only line that makes sense. Why? Because we’ve seen this before. Remember when there used to be a music industry? But all is not lost. We’re in the middle of a very exciting time for digital comic books, and for the comic book industry in general. If you’re willing to work hard, and be creative, there are lots of opportunities to be successful, AND to open up the potential of an almost new business model. Let’s look at what’s happening in digital comics today, shall we? 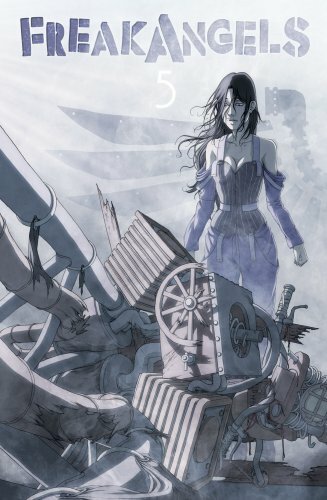 A webcomic that actually made money. 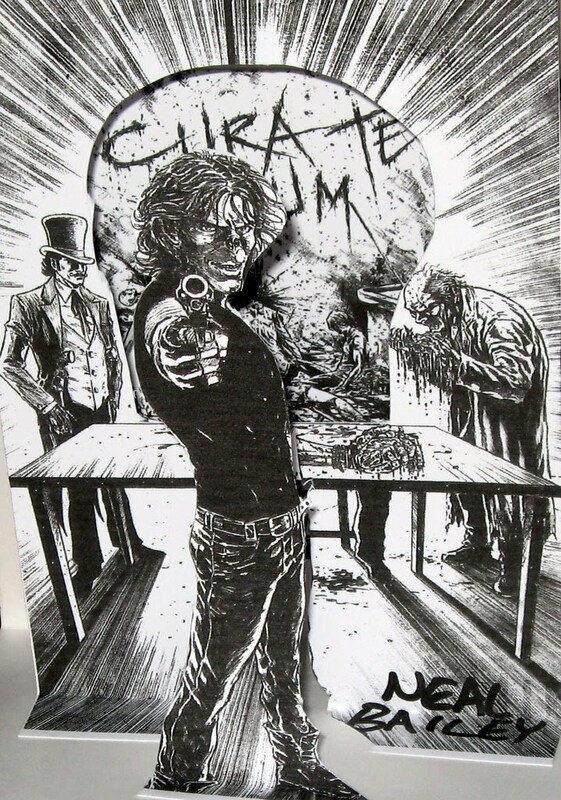 This model is what people usually think of when they think of online comics, and it’s often referred to as the “Freak Angels” model, though web comics were around for almost 20 years before Warren Ellis & Paul Duffield took a stab at them. The way it works is that you give away your content online for free, gradually. Sometimes it might be a whole issue at a time (Old City Bllues by Giannis Milonogiannis is a great example of this), but usually it’s more gradual. A page or two a week is the usual method for this sort of thing. You can try to generate revenue through ad sales while posting your content, though obviously this can vary wildly based on how many people are visiting your site. You can also not worry about the money part of it, and just use your free comic to drum up interest in you as a creator. When you have a certain amount of content, you can do up a collection physically, sell it, and make your fortune. OR, you can sell toys, T-Shirts, or other crap that’s related to your content. The danger to this is the inadvertent “Give Away The Cow AND The Milk For Free” model, which is where you give away your content for free, but there isn’t enough real interest for you to sell your product in collected form. 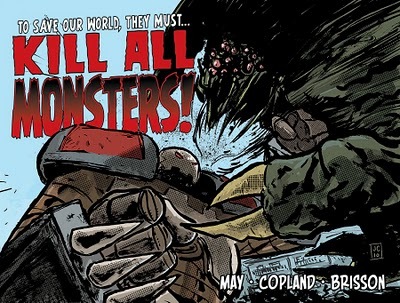 Kill All Monsters by Michael May & Jason Copland. Until a few years ago, most web comics were being done in a format that emulated a computer screen, which meant that collecting in a trade format was often problematic. 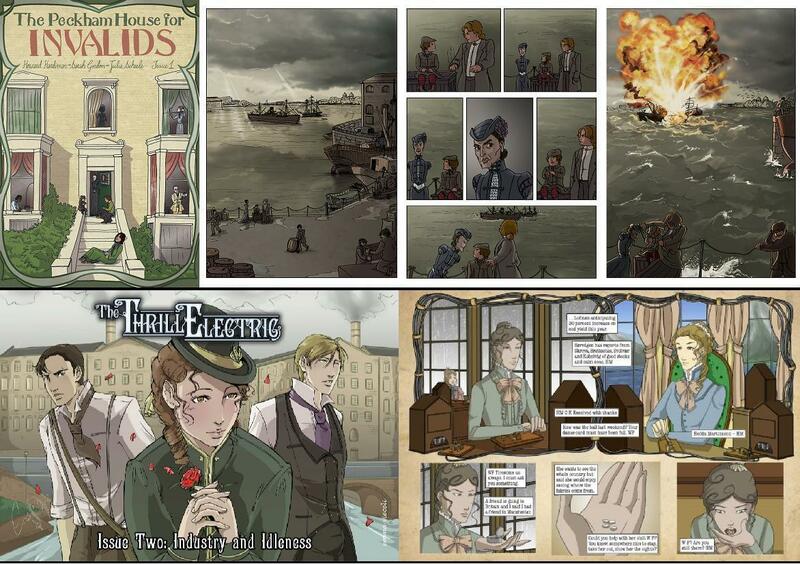 With tablets, we’re seeing a lot of web comics going back to emulating the physical comics experience. The Pros: It’s freakin’ cheap. No printing costs or physical distribution means very little up front costs. And by keeping the creative team relatively small (this is a model that can work well if you’re the only person making the strip), you can maximize profits in the long run, when ad money and collection money starts coming in. There are plenty of examples of this model working, in various degrees. The Cons: While the potential for a strong back-end profit exists , it’s still pretty rare. At the end of the day, you have the same issue you have with print comics: Getting people to pay attention to them. You may be giving away your content for free, but you are still competing for an even more valuable commodity than money: time. And although web comics are “cheap” to make in terms of money, they can take the exact same amount of time to make as physical comics. And every minute you spend making web comics that might not pay off for months, if ever, is a minute you could be spending on paying work, either inside or outside the comics field. While this model is the model that’s the easiest to use for up and coming creators, veterans and pros have been capitalizing on it in recent years. Warren Ellis, Greg Rucka, and Mark Waid are only a handful of the already-established creators that have experimented with this format. And while it’s a free-ish internet, having big name creators compete in a sandbox previously owned by indie folks means those indie folks have to work even harder to get noticed. Not to say it’s easy for established pros either. While writers can juggle a web comic on the side while getting more immediately lucrative work from physical publishers, it’s not that easy for artists. So far, no A list mainstream artist has dabbled in this format in anything more than a passing manner. Rick Burchett’s Lady Sabre is a rare exception, and it’s no coincidence that it’s one of the best looking comics on the web. Artists like Cameron Stewart can juggle their web comics while working in mainstream comics, but the mainstream paying work usually has to come first. Examples of this model: Cow Boy, The Gutters, Penny Arcade, Freak Angels, Thrillbent, Cura Te Ipsum, Kill All Monsters, Girls With Slingshots….thousands of others. DC figured out a way to charge for something everyone else was giving away for free? Shocking. This one isn’t new either, but it’s been springing up a LOT this year. It’s recreating the old newstand comics model, but in digital form. In this model you charge for ALL of your content, whether or not you sell by the issue, or by the collection. You can do this on your own, or through a middle man, and sell it through a site like Comixology. Or you can use two middle men, and go through a publisher & then go through a digital distributor. This model doesn’t bring in much (or any) ad money, but it doesn’t exclusively rely on trade sales either. Although this one has been around for a while, I would argue that it wasn’t really workable until the advent of tablet technology. Now that we have a digital interface that almost recreates the physical print experience, this is becoming more and more viable. The Pros: Like the last model, this one is pretty cheap to produce. But unlike the last model you have some real potential for immediate revenue. No need to wait for trade, as you can charge a buck or two per issue. And because there are no printing costs, you get to keep the lion’s share of that buck or two. You pay the middle man their cut, and the rest goes to you. With the advent of tablet technology, selling a digital copy of the physical product on the same day is becoming more and more common. 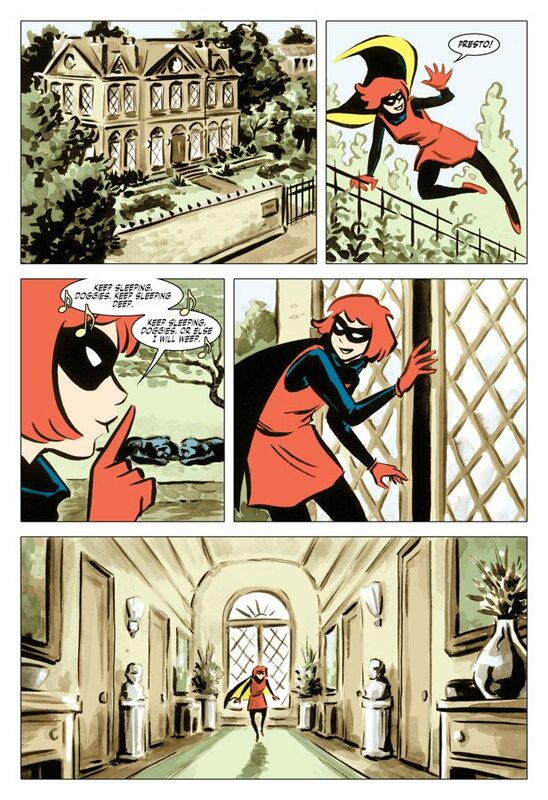 Bandette, by Paul Tobin & Colleen Coover. Published by Monkeybrain Comics. The Cons: Similar to the cons in the first model. 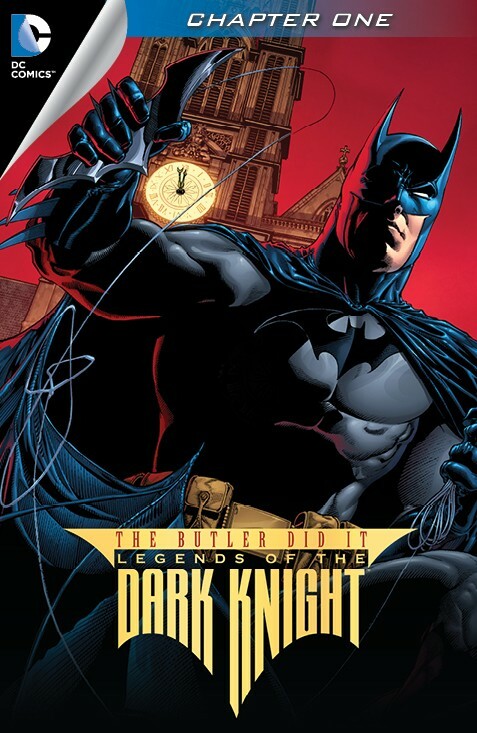 Digital still doesn’t have the in-your-face presence that a physical comic in a comic shop does. And so while you can recoup some capital quite quickly, the size of that pie is still very small. By going into a comic shop, you are pretty much assuming an intent to buy. That kind of dollar loyalty doesn’t exist online yet.For someone to really takeadvantage of this model, a customer has to a) own a tablet b) know about Comixology, or a similar digital distributor, and then c) have enough time to really figure out which comics are for them. Also, because much of the content being produced in this model (and in the last) comes from a more indie culture, getting consumers that only read superhero comics to expand their horizons is as difficult in digital comics as it is in physical ones. This is one that’s really blown up in the last few years, and I think we’re going to see a lot of publishers and creators really try to make this model work. It’s the one that’s closest to the old physical model, and it’s one that in theory, means the least amount of change to the traditional way of doing things. DC and Marvel have both taken a few stabs at this. They are putting out digital versions of some (though not all) of the physical comics that they produce, but they’re also producing new comics for digital use initially (with a physical copy often coming out months later). The quality of these have been pretty shoddy, though DC has made some real attempts this year at producing quality work for a digital audience. One of the biggest stories in digital comics this year has been Monkeybrain Comics. They’re using this model, and doing it with name creators, and with interesting properties. And the quality so far has been pretty high. This ones pretty new, and only a handful of creators are really using it. This is where creators actually use digital or tablet technology to create a product that is impossible to reproduce in physical print. There may be a version of the product that comes out eventually, but it’s not going to have the same level of interactivity that its digital counter part does. Marvel has been experimenting with this model with their “Infinite” line. At this point it’s not much more than a pretty gimmick, but I could see this growing like crazy over the next few years. Especially with companies that have some money for an initial investment. The Pros: By having a format that can’t be reproduced in physical comics, you have complete control over how your audience consumes your product. You are eliminating the physical costs entirely, and essentially creating a new audience to go along with your new content. The Cons: Although your physical costs are nill, this is still going to cost some coin. Especially if you’re producing NEW content, and not just riffing on existing content the way that Marvel does with their Infinite line. This is the one that’s going to see the most change in the next few years. As tablet tech evolves, expect to see the content created for that tech to evolve as well. So what does this all mean? Not much, other than there has never been a better time to get into self-published comics. Two of the main problems (distribution, and paper costs) that always hampered self-publishing are essentially eliminated in a digital-driven marketplace. Obviously digital has it’s own set of obstacles, but those seem to be problems with solutions. The best part of this new digital revolution is that it’s the creators that seem best positioned to take advantage of it. This entry was posted in Comic Books and tagged Batman, Kill All Monsters, Leah Moore, Warren Ellis, Webcomics. Bookmark the permalink.